Tomorrow, “VINUM 2018”, one of the most important wine event in Alba, will start with all the best wines of Langhe, Roero and Monferrato. 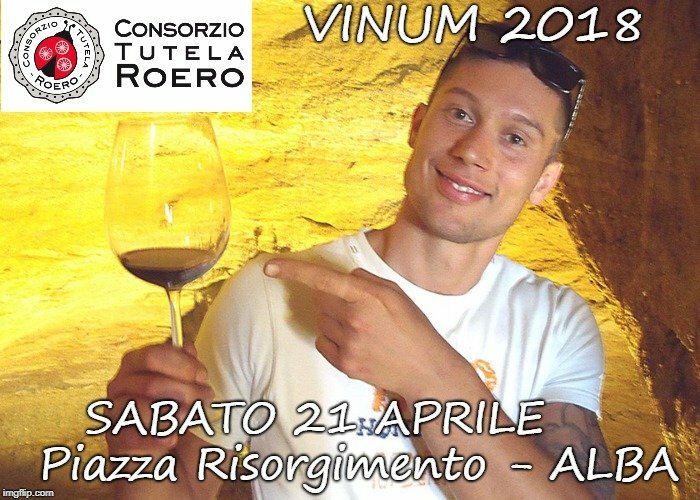 Tomorrow, SATURDAY the 21st of APRIL from 11.00 to 15.00, come to discover the ROERO with me, in the Consorzio di Tutela del Roero stand in RISORGIMENTO SQUARE in Alba. I’ll wait for you to make you discover the amazing Roero area and its wonderful wines!